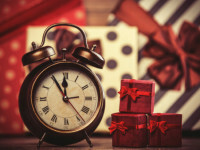 The Easiest Green Gift — Time! The days of December are flying by, the malls are packed and you still have good friends and loved ones on your holiday gift list. The easiest, no-waste gift to share? Your time! Need some ideas? Try these. 1. Share a meal. Sure, a home-cooked one is nice, but if that’s not your thing, go out together to a favorite restaurant that allows for a leisurely meal and lots of conversation. 2. Try a winter activity. Ice skating, sledding, taking a walk on a crisp, cold day in a nearby park — all of these are fun for your outdoor-loving friends or family. And good for you, too! 3. Learn something together. Sign up yourself and a friend to take a dance or pottery class. Or maybe you both have been meaning to try yoga or improve your photography skills. 4. Go to a concert or play. If you are able to spend a bit more, buy tickets to an event you would both enjoy. 5. Combine several ideas and give certificates for multiple times to spend together throughout the year! Isn’t this a gift you would like to receive? Check out Green Gifts for Happier Holiday for more ideas.